You know those books that you liked so much or have such an effect on you that you can’t stop thinking about them after you’ve finished reading them? Those ones that were so well written and so true, that you sometimes forget that the characters are made up? 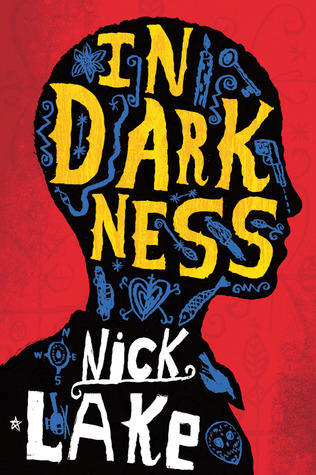 I just read two books like that: Girlchild by Tupelo Hassman (great interview with her here) and In Darkness by Nick Lake. Both are ALA Youth Media award winners. In Darkness won the Printz this year and Girlchild is an Alex award winner which are books written (or published) in the adult market that have teen appeal. Now Girlchild is a hard book and while I do think there is teen appeal in many ways, it’s definitely for older teens. And not just for the content, because while there is a lot of abuse, neglect, sadness, and despair, I don’t want to prevent teens from reading about that. I just think that because the way the story is written, the voice of the main character, Rory Dawn, and the almost removed and looking backward-ness of the book, I think it takes a more mature reader. For me, a more mature reader is probably a junior or senior in high school. Or more mature younger grades, but there’s a lot of life lived in the pages that I think it takes a bit more life to understand. 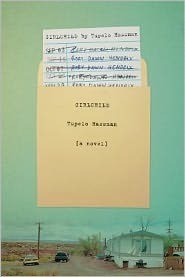 Girlchild is the story of Rory Dawn Hendricks who is, in her words a, “feebleminded daughter of a feebleminded daughter, herself the product of feebleminded stock.” She lives with her mom in a trailer on the outskirts of Reno in the 1980s. She’s not really so ‘feebleminded’ but rather smart and yet so naive. She’s passed around to babysitters while her mom works the bar at the truck stop. Until her grandmother comes to take care of her, she’s sexually abused and molested by those caregivers. The abuse takes place in the first fourth of the book and it’s not explicit but it’s still hard to observe. Get through it and the whole rest of the book – the aftermath – is so worth it. Rory struggles to be a smart kid from the poor neighborhood, and to deal with the strange shame of seeing her mom give up so much for Rory’s schooling and attention. The book is written in short episodes, little vignettes that bounce back and forth in time between her story and the stories of her mom and grandmothers. It’s an amazing story of resilient yet broken (they’re not really broken, I hate to say that, but maybe what culture would consider ‘broken’) women and the ways they get by. Or try to get by. And did I mention Rory Dawn has an old copy of the Girl Scout Handbook and she makes up her own badges and requirements because she doesn’t have a troop of her own? Awesome. In Darkness weaves together the stories of a 15 year old Haitian gang member, Shorty, in 2010 before and during the terrible earthquake that year and the story of Toussaint l’Overture, the former slave who led the Haitian Revolution against the French. Yes . . . two people separated by over 200 years in the same story? Yup, it’s ambitious and it works. They both have a lot in common (or at least they do insomuch as Shorty is a fictional character and Toussaint’s portrayal is in a fictional book): both had twin sisters they lost, both were doing what they believed to be right, both were trapped in some ways by the life they were born into and the choices that they made. Both were strong and trusting and lived lives straddling the rivers of their contemporary societies: vodou and familial duty for Shorty; and vodou, Catholicism, and the perceived notions of the rights of men – and those not considered men – for Toussaint. Now that I’ve read In Darkness I do feel a little bit bad about one of my previous posts complaining that John Green’s The Fault in Our Stars didn’t win the Printz this year. Both are important books and now that I’ve read both, I don’t think I could choose a “winner.” They are both so important and so different. Go read them and I suspect that days later you’ll be thinking, I really hope Rory Dawn is ok, and, I wonder what Shorty is doing right now. It’s great when books leave that kind of an impression on me! It used to happen more often when I was a pre-teen/teenager, but it still happens from time-to-time.